A national business advisory firm now has a more sizable footprint in the D.C. area. 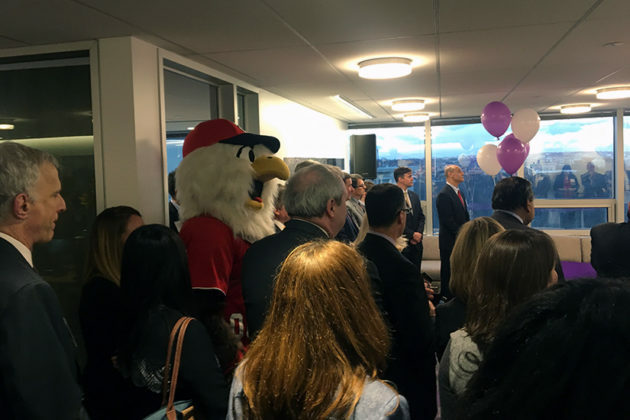 Chicago-based company Grant Thornton held a ribbon-cutting ceremony last night to celebrate the grand opening of its new Rosslyn outpost. The office is part of a $15.75 million investment that is bringing hundreds of jobs to the Arlington area. The office, located on the 14th floor of 1000 Wilson Blvd, can hold about 1,500 staffers. 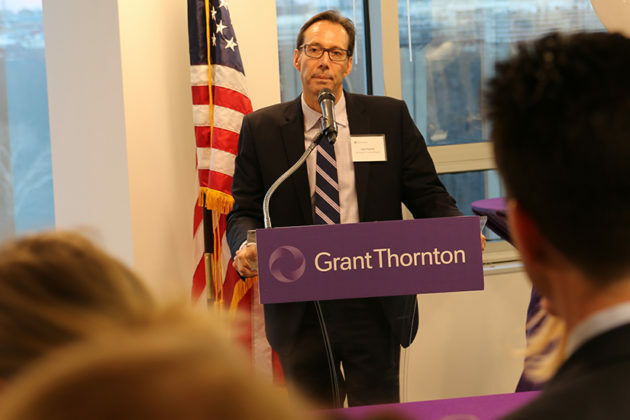 Grant Thornton is moving around 1,000 of its employees to the office and will be hiring 348 additional staffers as part of the opening. 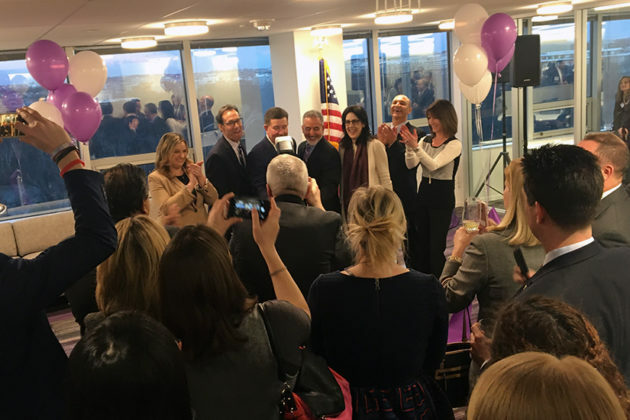 Grant Thornton CEO Mike McGuire, Arlington County Board Chair Jay Fisette and Rosslyn BID President Mary-Claire Burick were among those scheduled to speak during the ceremony. The space, dubbed the “workplace of the future,” is equipped with state-of-the-art audiovisual equipment, modern conference rooms and complimentary access to a fitness center, according to a press release. The office also has large windows that let in plenty of natural light and a provide a panoramic view of the District. 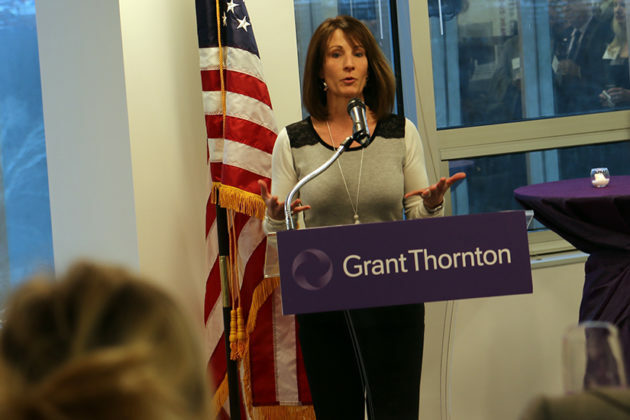 “I think the staff at Grant Thornton will find connections here that will help them grow professionally,” she added. Rosslyn is projected to have 4,000 new residents, 15,000 new jobs, 2,740 additional residential units and 200,000 additional square feet of retail space by 2030, according to the BID. 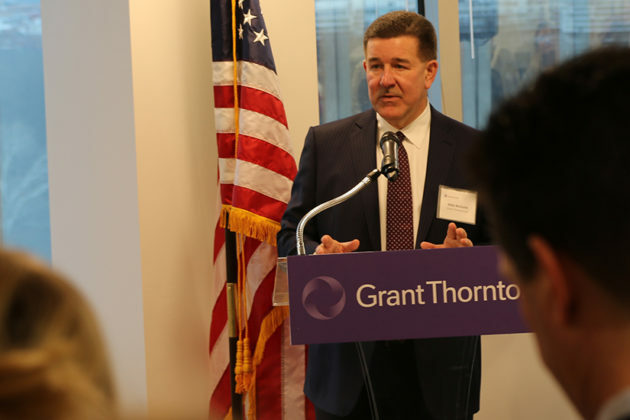 Large companies like Grant Thornton are expected to help fuel that long-term growth.